The demand within the global market for chemotherapy induced nausea and vomiting is expected to rise on account of the rising incidence of various types of cancers across the world. Chemotherapy is a painful medical process meant to kill the cancerous cells inside the human body, and the process has several side-effects such as hair loss, vomiting, nausea, and breathlessness. Despite the severity of the treatment and its adverse side effects, a number of oncologists recommend it as the penultimate option for alleviating the effect of cancer in the body. Nausea and vomiting induced by chemotherapy is in turn treated with other drugs and medications, and this increases the demand within the global market for chemotherapy induced nausea and vomiting. In the contemporary times, NK1 receptor antagonists are given in conjunction with serotonin receptor antagonist as treatments for chemotherapy-induced nausea and vomiting. The global market for chemotherapy induced nausea and vomiting can be segmented on the basis of the following parameters: drug class and region. Since this market is directly related to the field of oncology, it is essential to understand the dynamics prevailing in each of the segments to get a better understanding of the market. A report on the global market for chemotherapy induced nausea and vomiting is a succinct analysis of the forces that have accelerated the growth wheel of this market. 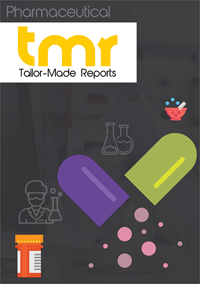 The opportunities that are floating in the global chemotherapy induced nausea and vomiting market have also been elucidated within the report. The treatment of nausea and vomiting post chemotherapy was done by administering antiemetic agents and corticosteroids, but both of these drugs are believed to cause further harm. Hence, in recent times, new drug lines are being used for the treatment of chemotherapy induced nausea and vomiting. This factor has played a key role in the growth of the global market for chemotherapy induced nausea and vomiting and has given a launch pad for the success of the market players. Cancer has been amongst the greatest causes of deaths around the world, and hence, there is a dire need to effectuate swift treatment post diagnosis. The survival rate of cancer patients has been miserably low, and several treatment procedures are carried out by oncologists and medical practitioners. Doctors and medical practitioners have been focusing on improving the health standards of cancer patients and ensuring that they are subjected to minimal pain and suffering. In this quest, several new drugs for the treatment of nausea and vomiting as a result of chemotherapy are being developed. Hence, it is safe to prognosticate that the demand within the global market for chemotherapy induced nausea and vomiting would reach new heights in the years to come. Based on geography, the demand for chemotherapy induced nausea and vomiting in North America has been rising on account of the presence of several cancer-relief campaigns and organisations in the US and Canada. Furthermore, the market for chemotherapy induced nausea and vomiting in Asia Pacific has also been expanding on account of the rising population in India and China. Some of the key players in the global market for chemotherapy induced nausea are ProStrakan, Inc., Merck & Co. Inc., Pfizer, Inc., Solvay Pharmaceuticals, and Sanofi-Aventis.